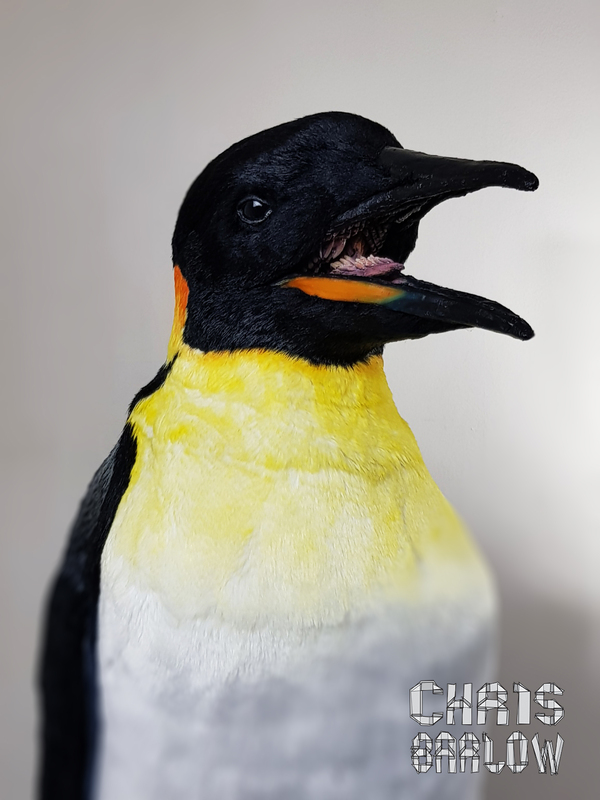 I designed and built this full size emperor penguin for a short horror film being developed by Art Omnivores. It is a fairly simple hand puppet, with a tongue that moves. I sculpted and cast the head out of latex and foam. 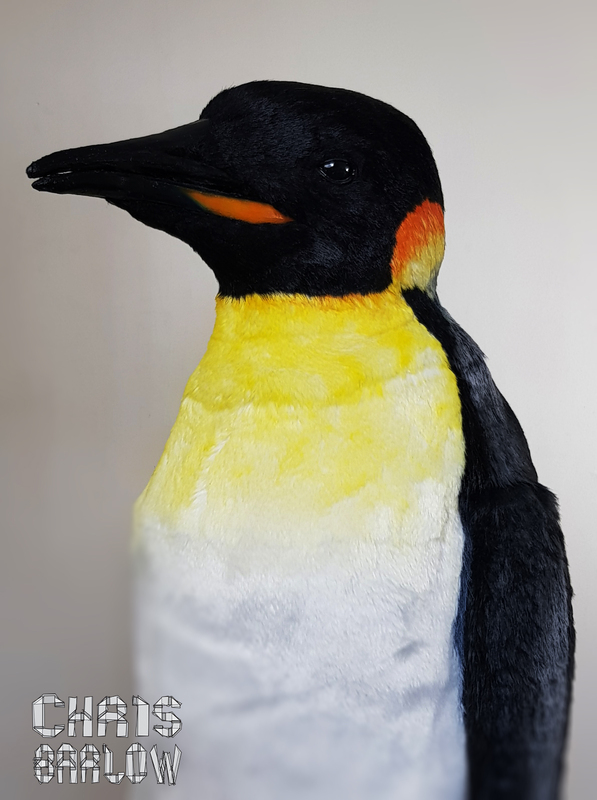 The body is reticulated foam fabrications, with fur and art finishing.